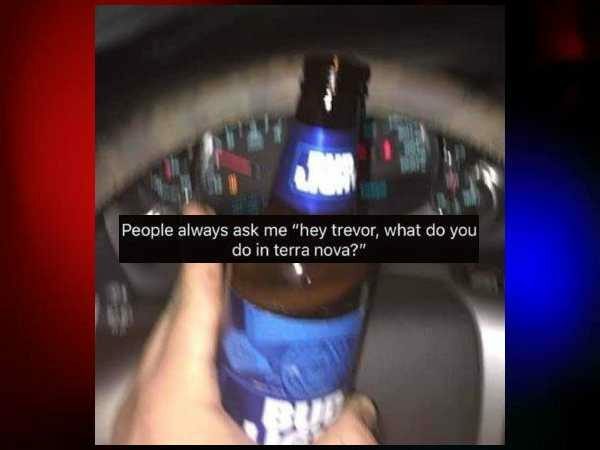 Glovertown, Newfoundland and Labrador – On February 11, 2019, Glovertown RCMP was notified of a posting displayed on Cape Shore Memes that pictured a driver holding an open beer while driving a vehicle, which was believed to have been taken in the Terra Nova area. Police conducted an investigation and were able to identify a 19-year-old man from Terra Nova as being the driver in the picture. The man was charged under the Liquor Control Act for having open alcohol in a vehicle and under the Highway Traffic Act for using a hand-held cellular device while driving. The man did not deny his involvement when questioned by police and both charges have since been processed as convictions. RCMP NL cautions the public that content matter circulating over social media can and will be investigated when illegal activity exists. To drink or use a hand-held cellular device while driving is illegal and dangerous to the driver as well as everyone else on the road.